“Growing up as an athlete, every positive thing I learned – about goals, dedication, leadership and values, I learned through playing sports,” says Olympic athlete Chris Mosier. These benefits are one reason that sports must be accessible to everyone. Many ultimate players who are committed to inclusivity are boycotting the American Ultimate Disc League this year because of the AUDL’s exclusion of women. The AUDL boycott addresses how cisgender women and cisgender men have unequal access to ultimate. However, currently in ultimate, cis women players have more representation, visibility, and institutional support than transgender and nonbinary ultimate players, and this is unaddressed by the boycott. While cis women are currently excluded from ultimate at the professional level, transgender and nonbinary athletes face barriers to participation at ALL levels of our sport. Archaic policies hold trans athletes to inconsistent and medically misinformed standards about their bodies and transitions. Nonbinary athletes, forced to identify with one gender or the other, have to compete under an identity that isn’t theirs. 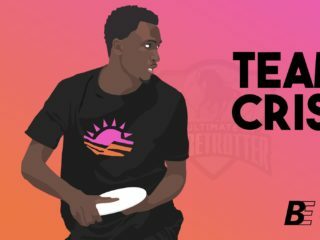 Organizers must demand that all athletes, cis, trans, and nonbinary, have equal opportunity to participate in ultimate. The parallel women’s pro teams, and the briefly-proposed United Ultimate League with a 3-3 mixed format, are not solutions that address the needs of trans and nonbinary athletes. When even those boycotting the AUDL for the sake of inclusion exclude trans and nonbinary players from their vision, it erases their presence in the struggle and pushes them even further into the margins. Some ultimate players are working to promote inclusion of trans and nonbinary athletes. This spring, Jenna Weiner led the Upwind Academy course, “Talking About Trans” about trans identity and how the ultimate community can be more inclusive of trans ultimate players. 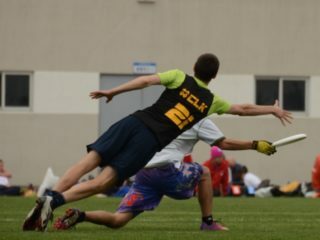 Vancouver Ultimate has a written policy on inclusion that specifically affirms trans and nonbinary players. In New York, league players recently piloted a new league format of 2-2-1 — 2 men, 2 women, and 1 spot that does not have a gender assigned to it. This type of format may help make more space for trans and nonbinary athletes. It may also have shortcomings or problems, but trying a new idea is better than continuing to use the same exclusionary systems. If this format doesn’t work well, people may learn from it and come up with a better alternative moving forward. More radically, we could create athletic divisions that are separate from gender–something more similar to wrestling’s weight class system, something that isn’t limited to two categories. 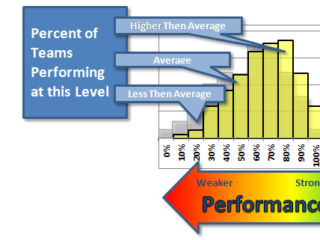 Instead of trying to fit trans, intersex, and nonbinary people into a classification system designed for cis, non-intersex people, we can dream a different system using performance categories that encourage a wider variety of people to play, and that hold all bodies to similar levels of scrutiny. If we start with the question, “How can we include everyone in the ultimate community who wants to play regardless of gender?” we can start looking for solutions that work for everyone and center the needs of those who are most marginalized in our current system: trans and nonbinary athletes. If we start with the question, “How can cis women have access equal to cis men?” we will automatically limit ourselves to a narrower perspective. The ultimate community is in a period of growth, gaining recognition, and building larger-scale institutions. This gives us an opportunity. Instead of perpetuating the same exclusion that exists in other sports, we can use this moment to make significant and lasting impact at the forefront of inclusion for transgender and nonbinary athletes. People with cisgender privilege can educate themselves about trans and nonbinary identity, and think about strategies for change, in both their local area and in the wider ultimate community. Transathlete.com “is a resource for students, athletes, coaches, and administrators to find information about trans inclusion in athletics.” Corey Alexander’s article about his perspective on ultimate as a trans man includes five suggestions for ultimate players to promote inclusivity; his forthcoming essay, tentatively titled “Boycotting the Binary,” will also discuss nonbinary identity and nonbinary athletes. Establishing a trans-affirming culture on and off the field is just as critical as official policies and formats. “Silence is often interpreted as disapproval. So it’s up to you to send a clear message that LGBTQ athletes are welcome on your team. On the field or in the courts there’s far too much homophobic, biphobic or transphobic language thrown around. . . The best thing you can do is to shut it down on day one…The next thing you can do is to back it up with strong policies,” says Chris Mosier. 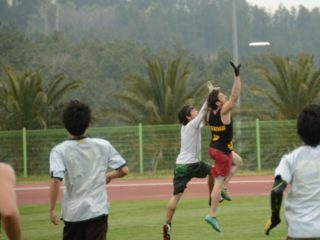 Discussing access to playing in the AUDL, Carl Morgenstern writes, “Playing sports—especially ultimate—has greatly enhanced my life. 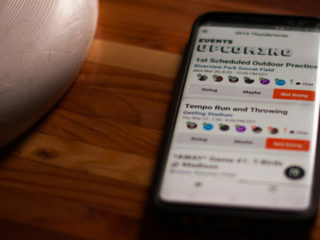 Ultimate gives me a sense of pride and purpose…These benefits should be available to everyone.” We couldn’t agree more.